When you are considering a move to South Georgia’s coastal region, the cities of Savannah and Brunswick immediately come to mind. Savannah offers parks, town squares, historic homes and charm. Brunswick is the gateway to St. Simons and Jekyll, two of Georgia’s most popular Golden Isles. If you are moving to South Georgia to escape congested urban living, you want a cozy hometown with a smaller population and more privacy. The Liberty County city of Walthourville is just right for you. Walthourville began life as the prosperous plantation of a Revolutionary War veteran and physician named Andrew Walthour. It became the richest plantation in the region called Sand Hill. It was one of the wealthiest communities on the coast by 1844. The name was eventually changed to honor the man who originally settled the area. Generations later his several times great grandson Robert “Bobby” Walthour would become the first man to hold the American and World Cycling Championships in the same year and set 26 world records in the cycling sport. 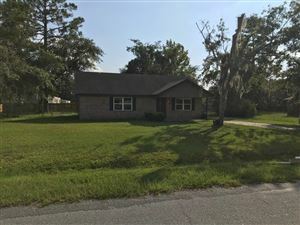 Buyers interested in buying residential property here should note that 55% of the residents in Walthourville rent their homes instead of purchasing them, as many servicemen and woman work at nearby Fort Stewart. As such, this market offers opportunities for investors as well as homeowners looking for their dream home. Home prices in the city allow you to purchase a lot of house for your money. Homes with spacious living areas ranging from 1,700 to 2,800 square feet are offered at $168,000 to $221,000. Many of the homes are new or of fairly recent construction with upgrades and nice yards. Residents here love their quiet, private neighborhoods. Call our knowledgeable realtors at RE/MAX All American today if you would like a tour of Walthourville and we will be happy to show you around and answer all your questions about life in Liberty County. Together we can find the right style, size and price for your perfect new home.